A novel, virtually maintenance-free steel/steel spherical plain bearing aimed at reducing total cost of ownership and creating a positive environmental impact. SKF Extended Life Plain Bearings are aimed at reducing total cost of ownership and creating a positive environmental impact. They are the first type of spherical plain bearings to combine the advantages of self-lubricating, so-called maintenance-free bearings and the robustness of steel/steel plain bearings. In applications where contamination levels are low to moderate, SKF Extended Life Plain Bearings do not require relubrication. This eliminates the additional costs associated with relubrication of the bearing as well as reducing the environmental impact. The negative environmental effects of soil and water pollution are becoming increasingly apparent. Industries that are responsible for producing it need to take swift action to mitigate its impact. 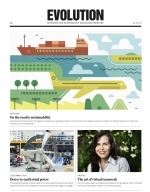 Providing “cleaner” technical solutions is one way in which SKF can make a positive impact. The increased capacity of machinery, in combination with the need to reduce operating costs, is resulting in demand for longer service life, higher load carrying capacity and reduced effort for maintenance. In industries such as material handling, construction machinery, forestry or agriculture, equipment has numerous bearing positions that are subject to pivoting movements under heavy loads. These positions in many cases require spherical plain bearings. Frequently, high levels of shock loading and contamination are also present. The common solution for these types of applications is steel/steel spherical plain bearings, as they are known for their robustness. Unfortunately, they require regular relubrication, and even scheduled maintenance on a daily basis is no rarity in this business. Fresh grease being pumped into the bearing does little more than expel contaminants and wear debris and redistribute the grease. Relubrication is a prerequisite for a long bearing service life, but regreasing also adds significantly to the costs of ownership for end users. 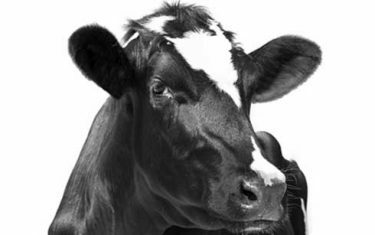 Whether it is the cost of labour, downtime, new grease or the disposal of used grease, these costs add up over time. In April 2013, at the Hannover Messe, SKF introduced the Extended Life Plain Bearings, the first type of spherical plain bearings to combine the advantages of self-lubricating, so-called maintenance-free bearings and the robustness of steel/steel plain bearings. Additionally, as part of SKF’s BeyondZero Portfolio, this newest plain bearing is helping to reduce environmental impact significantly as well as total cost of ownership. 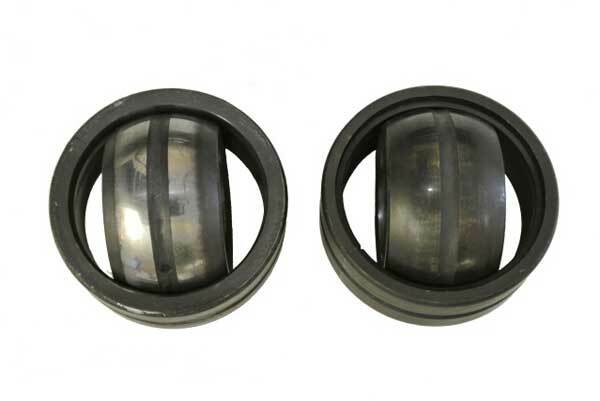 These sealed steel/steel spherical plain bearings and rod ends do not require relubrication in applications where contamination levels are low to moderate. Under these conditions, SKF Extended Life Plain Bearings last at least as long as standard steel/steel plain bearings that are relubricated in accordance with recommended maintenance schedules. Because SKF Extended Life Plain Bearings do not require relubrication, they automatically offer built-in protection against bearing failures otherwise resulting from missed relubrication intervals. SKF Extended Life Plain Bearings are equipped with SKF LS triple-lip seals. These seals, designed for long service life in highly contaminated environments, do an excellent job protecting the bearing’s tribological system over the life of the bearing. SKF LS triple-lip seals are the standard sealing solution for all SKF Extended Life Plain Bearings. 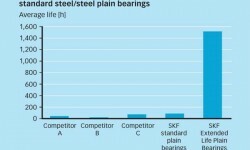 To test the effectiveness of the new tribological system, SKF Extended Life Plain Bearings were tested against initially greased competitor bearings as well as standard SKF plain bearings (diagram 1). Overall, SKF Extended Life Plain Bearings have demonstrated their potential in more than 40,000 hours of testing under various operating conditions. A known critical condition for steel/steel spherical plain bearings is small oscillation angles in conjunction with a constant load direction, as the lubricant supply to the sliding surfaces of the bearing is aggravated. 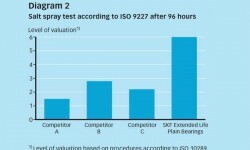 Particularly outstanding results from the SKF Extended Life Plain Bearings were achieved under these conditions. 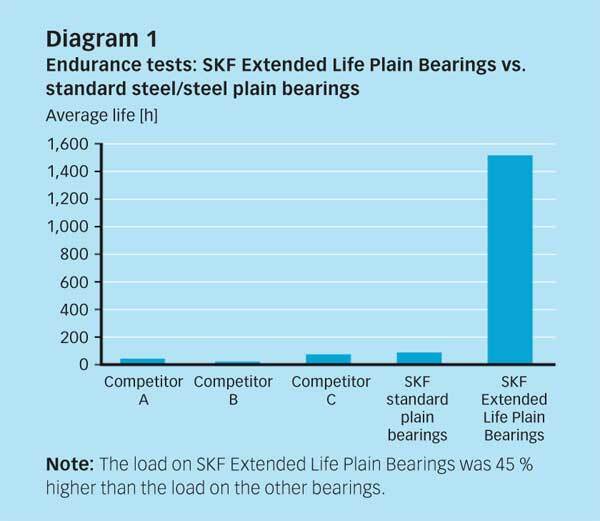 Diagram 1 shows that this tribological system is able to provide significantly longer service life, even when the load on the SKF Extended Life Plain Bearing during testing was 45 % higher than the load on the other bearings. 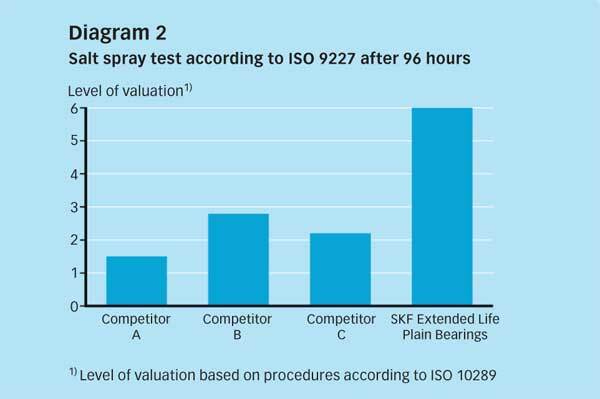 The best test being a real application, SKF Extended Life Plain ­Bearings were also subjected to rigorous field testing in several applications. One of these field tests was conducted as part of an OEM’s vehicle validation. 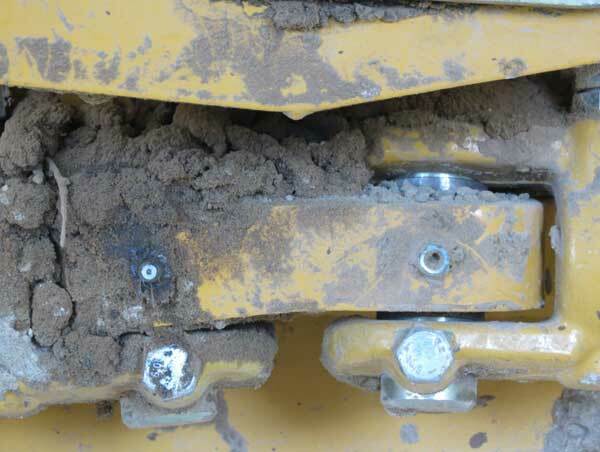 In this case, the bearing positions are very close to the ground and exposed to raised dirt, mud and dust. The steering system of several earth-moving vehicles was available and excellently suited for comparative testing with two equally loaded bearing positions. 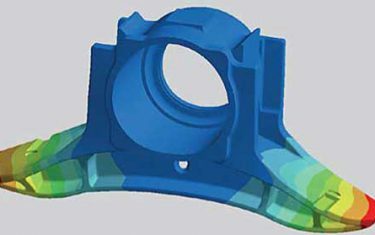 The test positions were equipped with a standard, unsealed steel/steel spherical plain bearing and an SKF Extended Life Plain Bearing. The SKF standard bearing was the original choice of the vehicle manufacturer, and based on his experience the bearing was relubricated every 10 hours. The SKF Extended Life Plain Bearing is greased for life, and therefore the grease fitting was removed from the vehicle housing to make sure that lubricant wasn’t introduced into the system. Fig. 1 shows the bearing positions after several hundred hours of machine operation. 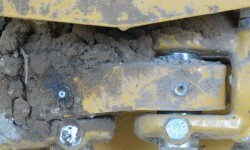 It can be seen that the standard bearing (left) is completely covered with a mixture of grease, dirt and dust. The grease that leaves the bearing during relubrication is a sticky ground for any contaminant. The mixture results in a hard but crumbly cover, directly in contact with the bearing. It is easy to imagine that this permanent source of contaminants is not beneficial to the bearing’s service life. 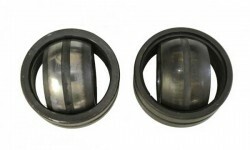 The position of the Extended Life Plain Bearing (right) is much cleaner, without any dirt collar. Further inspection revealed at least an equal or better condition for the Extended Life Plain Bearing, especially in regard to wear, which is the most critical parameter for precise steering. Even if both bearings are still fully operable after the test, the Extended Life Plain Bearing features resulted in hardly any visible wear for the sliding surface, as can be seen in fig. 2.
no premature failures due to poor lubrication conditions. SKF Extended Life Plain Bearings require virtually no maintenance in order to achieve their calculated life. 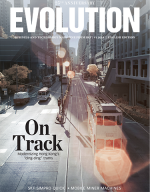 Longer service life means less downtime and lost production attributed to repairs. Greased for life also eliminates the additional costs associated with relubrication of the bearing. Hence, besides reducing cost of ownership, SKF Extended Life Plain Bearings also reduce environmental impact. 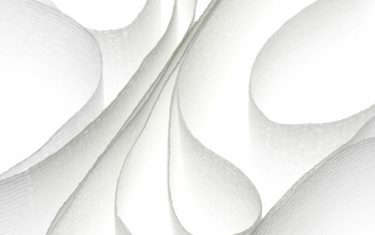 Further information can be found on the SKF website, www.skf.com, product homepage (see under Products/Bearings, units and housings/Plain Bearings) or contact the SKF Application Engineering Service.